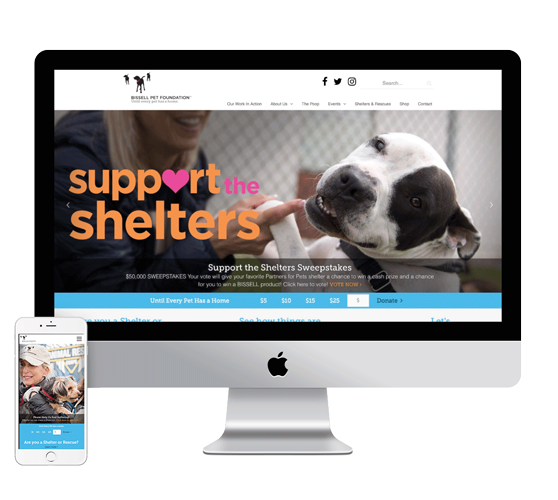 Bissell Pet Foundation (BPF) needed a new site to promote the work they do for animal shelters all across the country. They wanted a clean, welcoming look with a focus on photography (because who doesn’t like photos of dogs and cats?). The website is a great resource for animal shelters, pet owners and donors. Check out the site to learn more about BPF’s goal to find every pet a home.